Notice what a contrast there was between the tile color and the grout color. 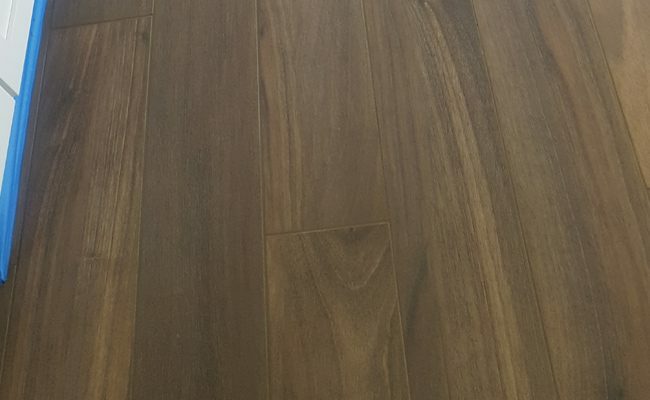 The darker grout color helped give this floor a more authentic looking hardwood floor appearance. A side-by-side comparison shows the dramatic difference grout color sealing makes. 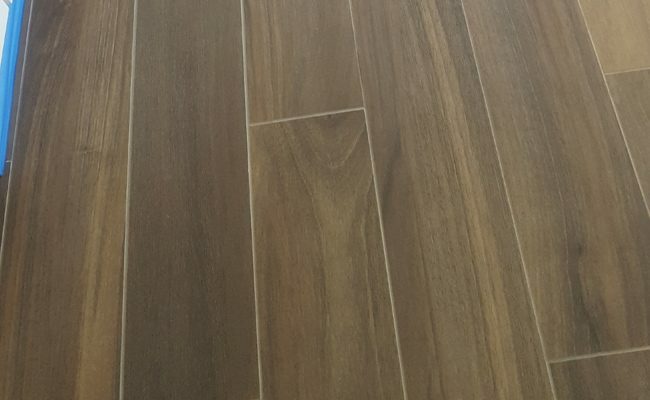 Los Angeles homeowners called us because their porcelain tile and grout floor, which was supposed to have a wood look, had problematic grout lines. 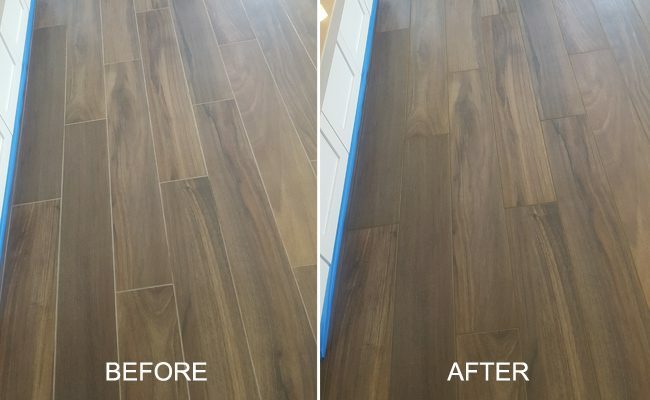 The grout was too bright and gave the floor more of a traditional tile and grout appearance rather than the modern wood floor appearance they had in mind. First, we cleaned and sanitized the tile and grout with an acidic cleanser. Then, we thoroughly rinsed the floor with hot water, and our extraction process removed the excess water. Once the floor was completely dry, we applied a dark grout color sealer to the grout lines. Grout color sealing not only gave the floor a completely different look, but it will provide lasting stain protection and improve the ease of maintenance for years to come. The homeowners were glad they had called Set In Stone Restoration and told us how pleased they were with our work. To learn more about tile and grout cleaning, watch this short video and visit our Tile and Grout Services page. You may also be interested in viewing The Advantages of Grout Color Sealing. Are you looking for professional tile and grout cleaning services in the Los Angeles area? Contact us online or call 619-246-0240 today. We also provide commercial tile and grout cleaning services.